The fight to build a new FBI headquarters outside D.C. isn't over, according to one Maryland legislator who is working on a bill to move the project forward. WASHINGTON — The fight to build a new FBI headquarters outside D.C. isn’t over, according to one Maryland legislator who is working on a bill to move the project forward. Sen. Chris Van Hollen, D-Md., said he’s now asking the FBI and the General Services Administration to once again consider building a new campus outside the District. 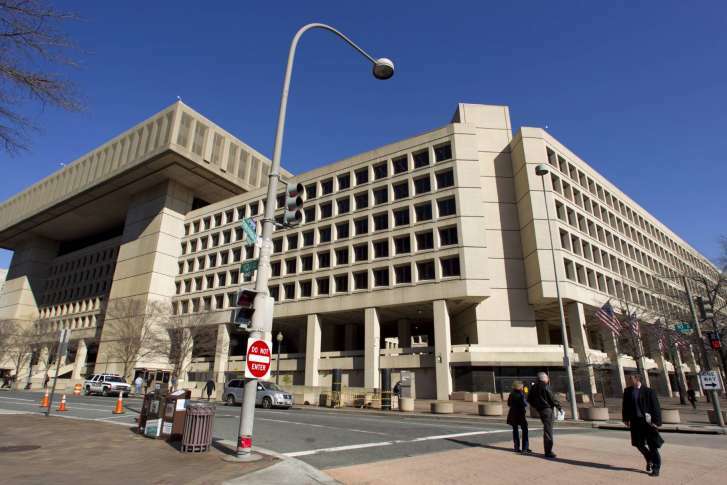 The effort to move the FBI headquarters began after a 2011 Government Accountability Office report deemed the current building on Pennsylvania Avenue “functionally obsolete” and not up to security standards. The $2.5 billion relocation project had inched along over the years and had been narrowed down to two possible locations in Prince George’s County, Maryland, and a third in Fairfax County, Virginia. But, instead of moving forward with selecting a new campus, the Trump administration decided modernizing the current building would be the best option. The Trump administration’s decision drew criticism from congressional Democrats, including Van Hollen. “The Trump administration came in, scrapped all the plans that had been in place for years, totally reversed course and Congress, on a bipartisan base, has been very troubled,” added Van Hollen. Last summer, lawmakers from the D.C. area demanded the GSA reverse its decision after the agency’s inspector general found officials at the agency relied on faulty cost-savings estimates to support its decision to stay in D.C.
Last year, congressional Democrats also released documents showing President Donald Trump appeared to be personally involved in the decision to keep the FBI building in D.C., which they called inappropriate and unethical. They suggested the president didn’t want a new commercial development to be built at the FBI’s current location if the agency moved, in part because the Trump International Hotel is just a block away. Now, Van Hollen is now asking GSA and the FBI to again reconsider one of the three locations in Maryland and Virginia, which would then allow Congress to make a decision. He noted Congress plays a significant role by providing funding. “I’m determined to make sure that we base that decision on the security requirements, as well as the other needs that the FBI has for it’s mission,” he said. WTOP’s Mitchell Miller and Jack Moore contributed to this report.